William E. McCarthy was born October 29, 1918, just two weeks before the end of the First World War. Like many American children who grew up in the wake of WWI, he would eventually answer the call to fight for his country after the world again descended into total war in 1939. 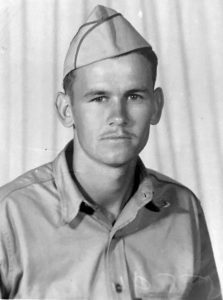 On September 24, 1942, William answered that call with a “yes” when he enlisted in the United States Army, just a month shy of his 22nd birthday. 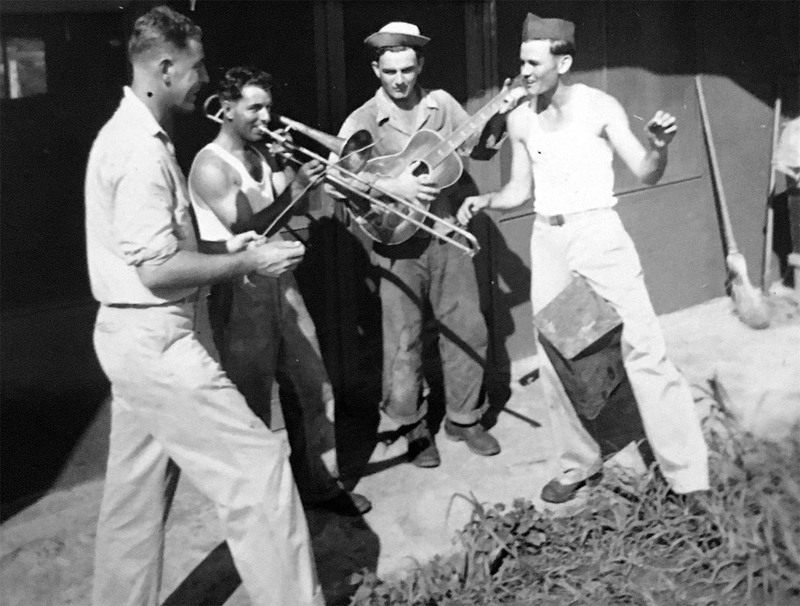 William would celebrate his birthday while enroute to where he would serve most of his three years in the army, the Panama Canal. He arrived at the Panama Canal Zone on November 4th, 1942 after a 15 day journey by ship. There were several theaters of operation during World War II. While the European and Pacific tend to receive the most attention historically, the American Theater was just as crucial to the defense of the United States, and to the eventual victory of the Allies. A key component of the American Theater was the ability to defend and maintain the Panama Canal. The desire for a water passage through the American continents goes back centuries to the first explorers of the new world. No natural passage existed, so at the turn of the 20th century one of the greatest engineering marvels in history began, and in 1914 the Panama Canal officially opened with a cost in modern dollars of almost 10 trillion. 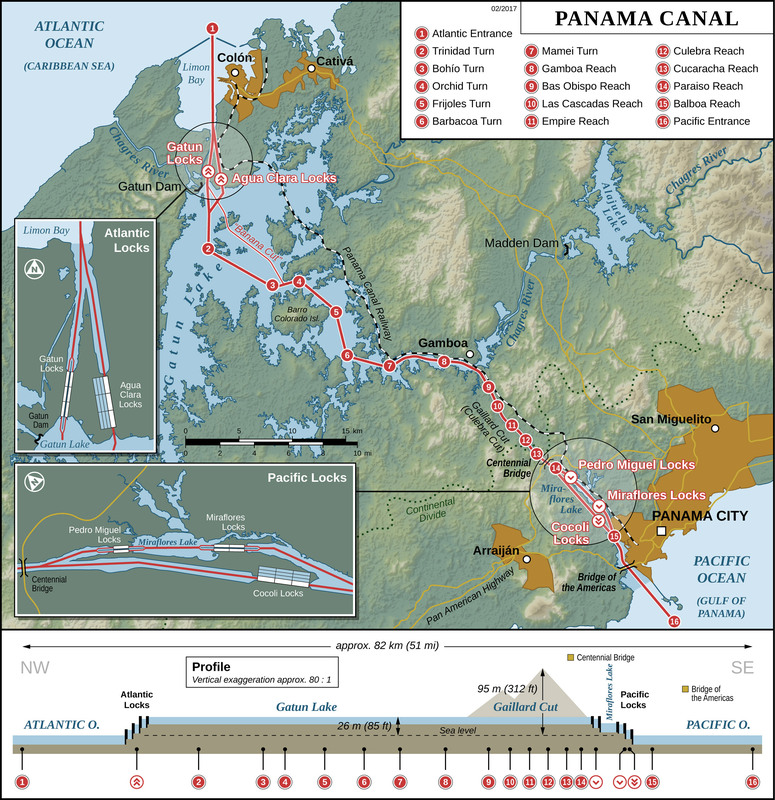 The opening of the Panama Canal greatly reduced the time necessary to transport cargo on ships from the Atlantic to the Pacific. During World War II, the Panama Canal was very important to ship war time supplies and necessities quickly. Because of that importance, the Allies knew that it would be a major target for the Germans and Japanese. Defending it was of the utmost importance, and William McCarthy found himself playing a direct role in that defense. 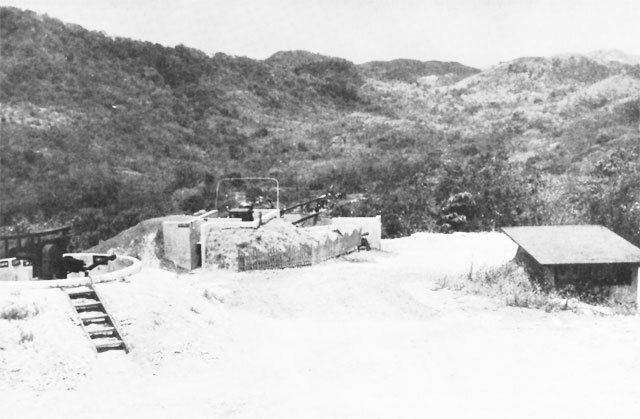 The 88th Coast Artillery was specifically assigned to protecting the Southwest side of the Locks, and McCarthy’s unit, the 901st AAA Battalion – Battery C, was assigned to the Gatun Dam. The Gatun Dam was and is a vital piece of the Panama Canal. The dam creates an artificial lake which allows ships to travel 21 miles of the canal, as well as operates a hydro-electric station that generates the electricity needed to operate the many locks within the canal. If an enemy during WWII was looking for a way to cripple the canal, destroying the Gatun Dam would have been one of their best options as a target.. 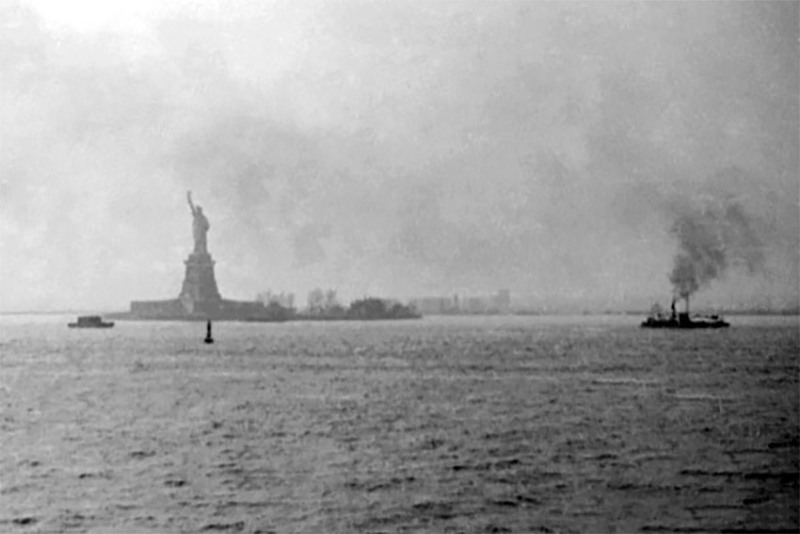 The ability to defend the dam from air, land, and sea attacks was a major priority for the Allies, not only in the American Theater of operations, but in the overall war strategy itself. 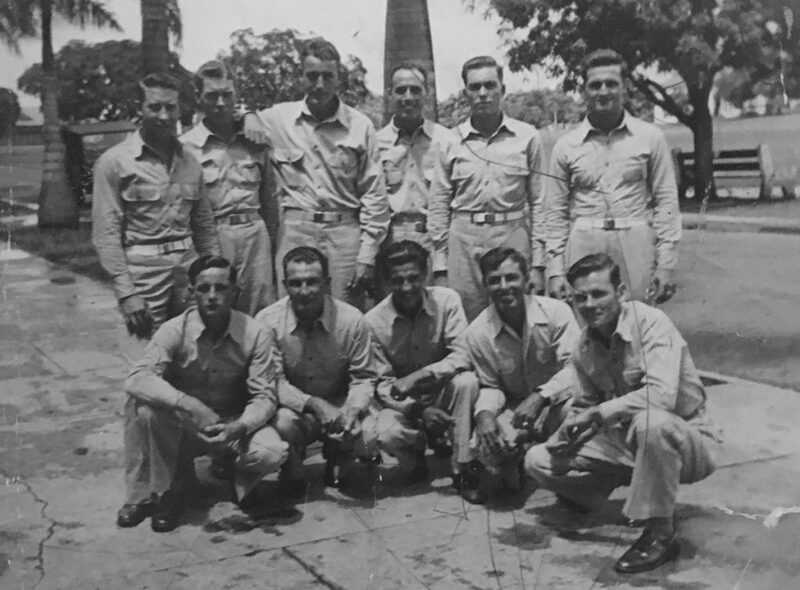 McCarthy spent most of his time in the Panama Canal Zone training, drilling, and teaching. It may not sound exciting, but the vigilance shown by these troops ensured that when tested, they would be ready and prepared to defend the United States. Within his first three months in Panama, McCarthy was promoted from Private to Private First Class. 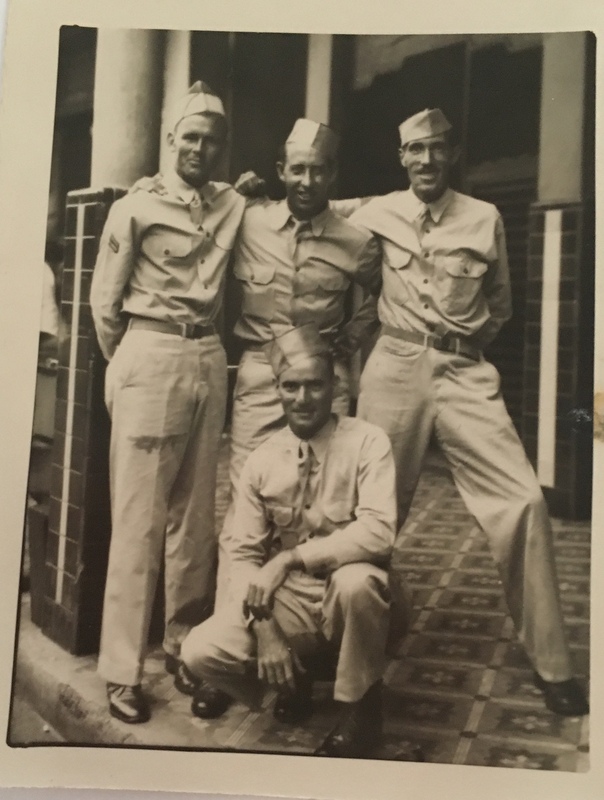 He was so well regarded on the gun crew that in November of 1943, he was chosen to teach and lecture about anti-aircraft guns at the battalion headquarters’ NCO school. Upon returning to his unit a month later, he was promoted to Corporal. Four months later, in April of 1944, McCarthy hits the peak of his military career, achieves the rank of Sergeant, and is put in charge of supervising a gun crew of 15 men. McCarthy’s unit and William himself were decorated during the war. In February of 1944, Sgt John A. McElroy was awarded the Legion of Merit award, and during the ceremony the 901st AAA Battalion participated in a battalion review. This would have been a proud moment for the McCarthy and his battalion, and one of the highlights of their service. 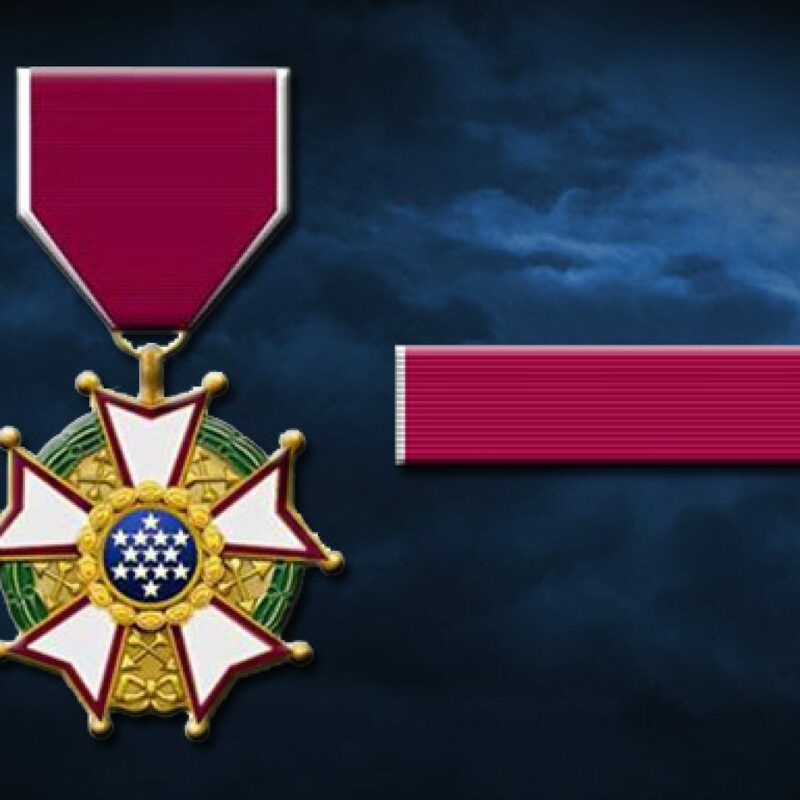 Before the war would come to an end, William would receive both the American Campaign Medal and the Good Conduct Medal. 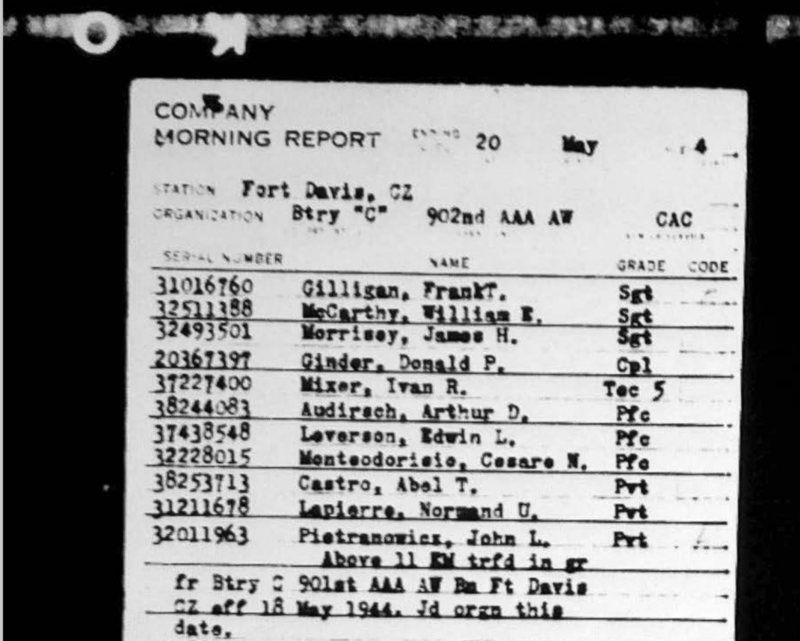 On May 18th, 1944, McCarthy is transferred from the 901st AAA Battalion to the 902nd AAA Battalion. No reason is given for the transfer, but it was most likely a simple issue of one battalion being short of men and another having a surplus. 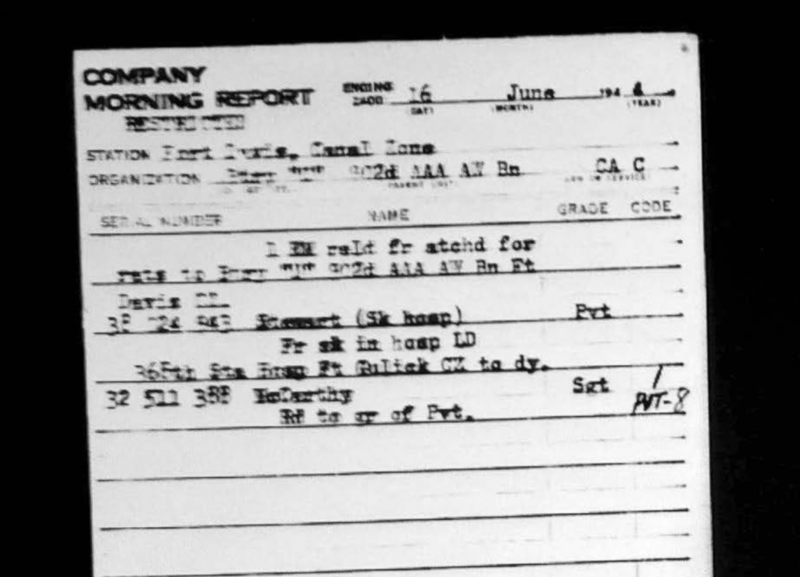 The transfer did not work out well for McCarthy, as only one month into his duty with his new battalion, he is reduced from Sergeant all the way back to Private. The unit’s records make note of the demotion, but do not specify the reason why. It was most likely due to William not seeing eye to eye with his new commander, as only two days after his demotion, he is transferred to a different battery within his new battalion, probably by his own request. His move from C Battery to B Battery meant he would have a new leader. The battery transfer and change of leadership worked, as he would spend the remaining months of the war in this new battery without any issues. Although never battle tested, William McCarthy and his Battalion were always battle ready. 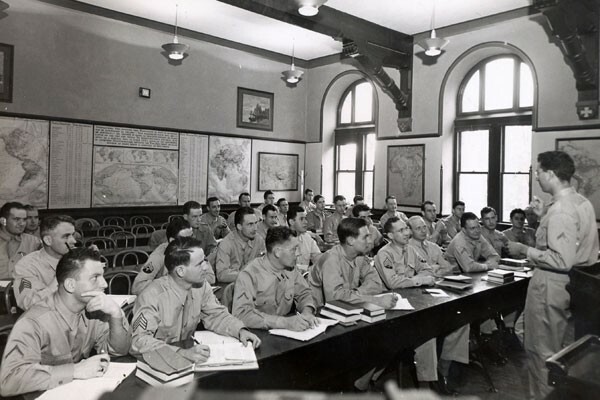 The training, preparation, and vigilance shown by William and his comrades ensured that any plans the Germans or Japanese may have had to cripple the Gatun Dam, Panama Canal, and ultimately the United States would have been in vain. McCarthy enlisted in the Army at Fort Jay in New York. 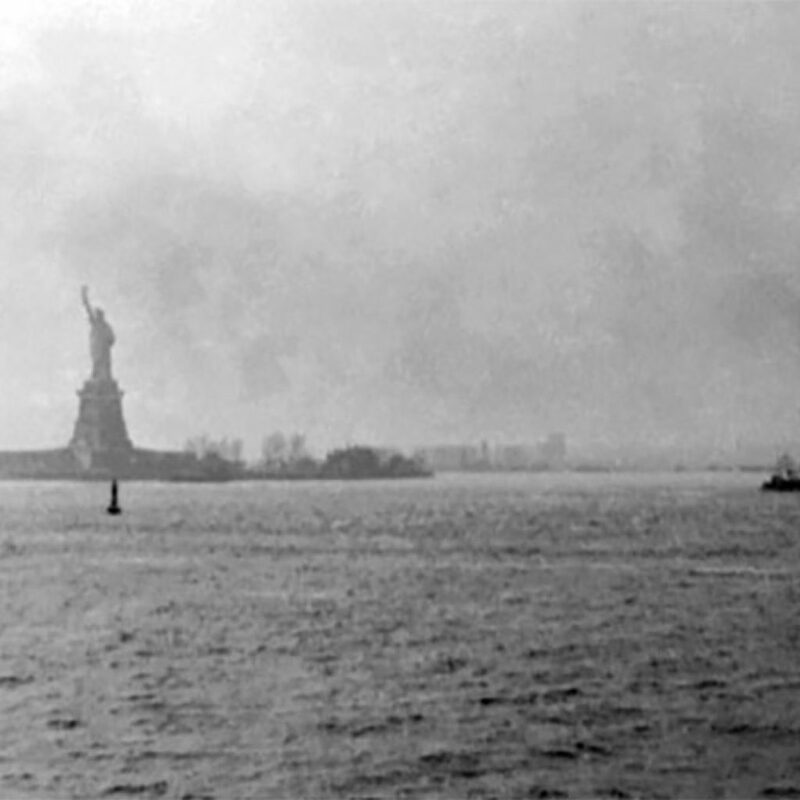 William leaves New York on a troop ship and officially joins the war effort. After a 15 days at sea, William arrives at the Canal Zone and joins the 88th Coastal Anti-Aircraft Artillery Regiment – Battery G. Photo is of one of the 14-inch guns that guarded the Panama Canal in 1942. 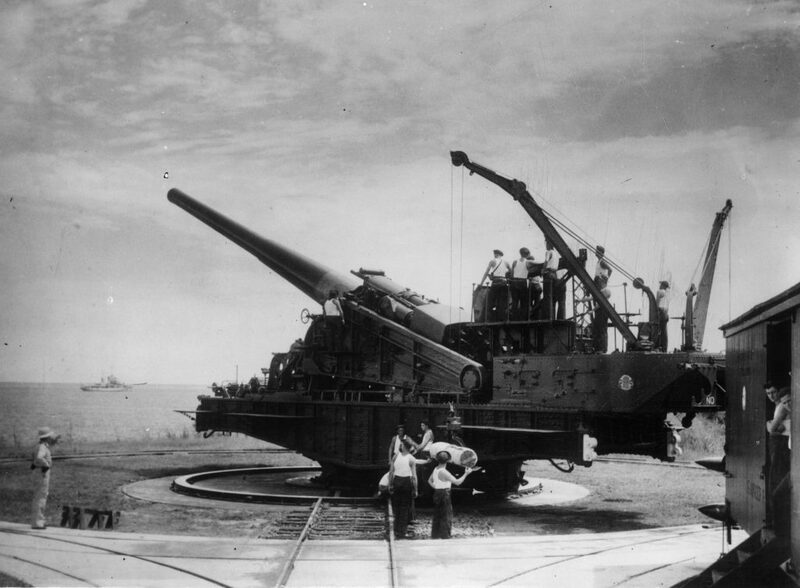 Mounted on a turntable, the gun could fire a missile 30 miles out to sea. McCarthy and his unit are assigned to and arrive at the Gatun Dam in the Panama Canal Zone. Lieutenant Mitchell V. Klepacz assumes command of the 88th CA Battery G and they are officially activated. The Battery has about 175 total men. Within his first three months in Panama, McCarthy is promoted from Private to Private First Class. For the next eight months, McCarthy and his unit stand guard near the Gatun Dam. Being an anti-aircraft artillery unit naturally meant they were mostly on the look-out for aerial attacks from enemy planes. McCarthy was part of a heavy anti-aircraft gun crew which stayed on guard 24 hours a day for enemy planes. 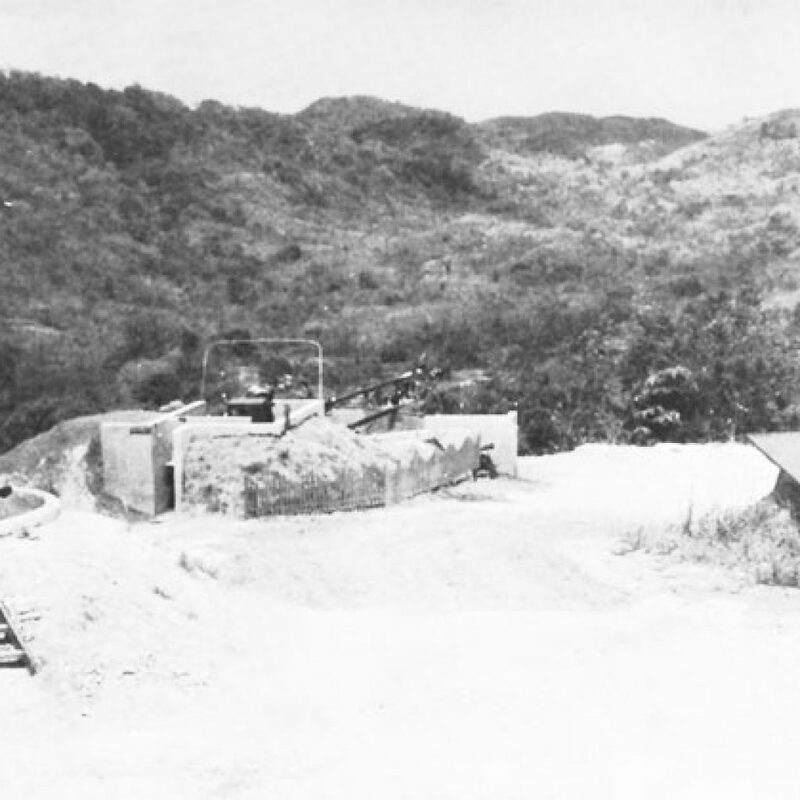 They were also in charge of constructing new gun positions throughout the canal zone as needed. McCarthy and his unit also spend weeks at a time training with their weapons at Fort Randolph. 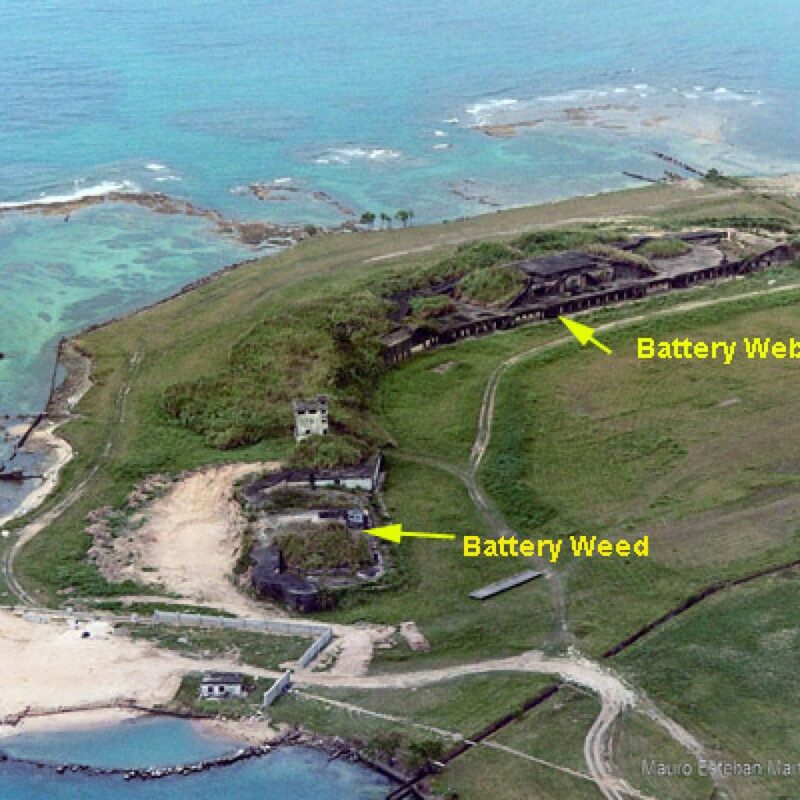 What you see here in this photo is the last image of a very historical defense site for the Panama Canal. This photo only shows half of the Fort Randolph base. Fort Randolph has since been turned into a resort area. 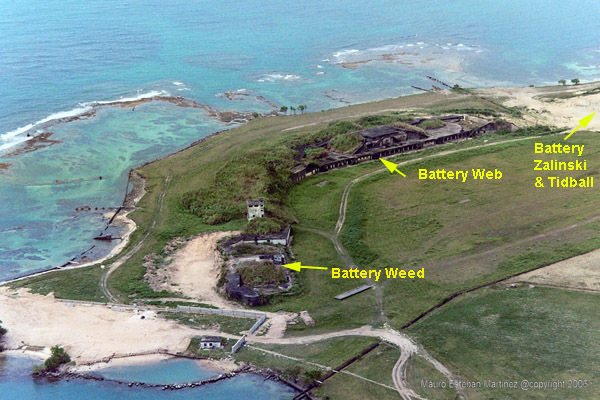 Battery G of the 88th Coastal Artillery Regiment was predesignated to C Battery of the 901st AAA Battalion in September of 1943. 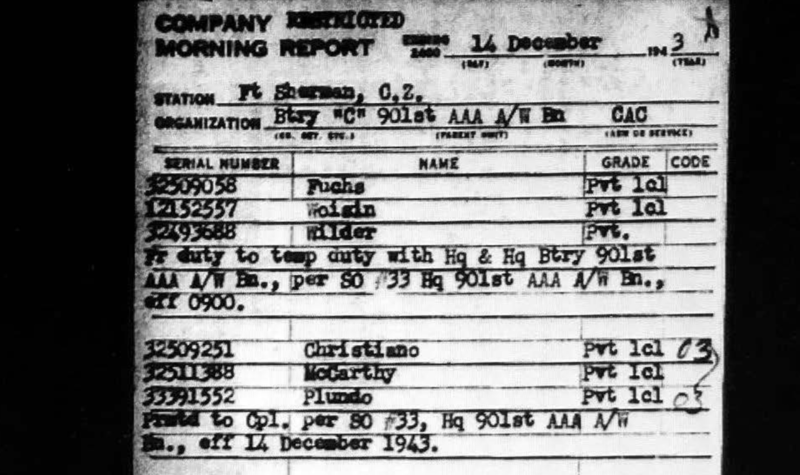 McCarthy and the unit remain at the Gataun Dam and use Fort Sherman as their HQ. Lieutenant Mitchell V. Klepacz remains in command. 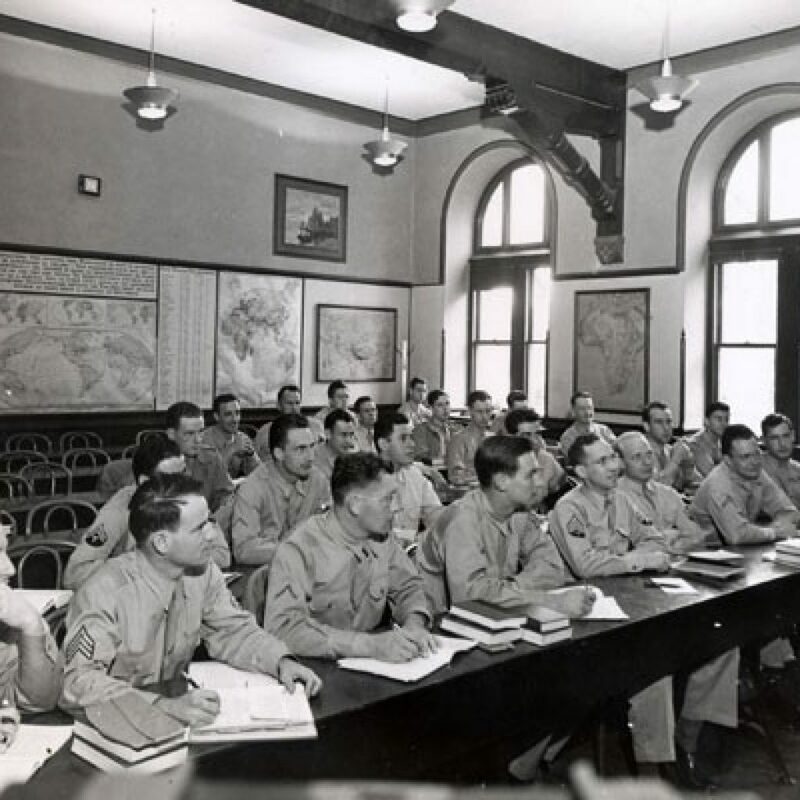 McCarthy was so well regarded on the gun crew that in November of 1943, he was chosen to teach and lecture about anti-aircraft guns at the battalion headquarters’ NCO school. He spends two weeks at the 88th NCO school. While he is there, he teaches and lectures new officers on nomenclature, cleaning, and maintenance of the gun. Upon returning from his teaching duty, William is promoted to Corporal. 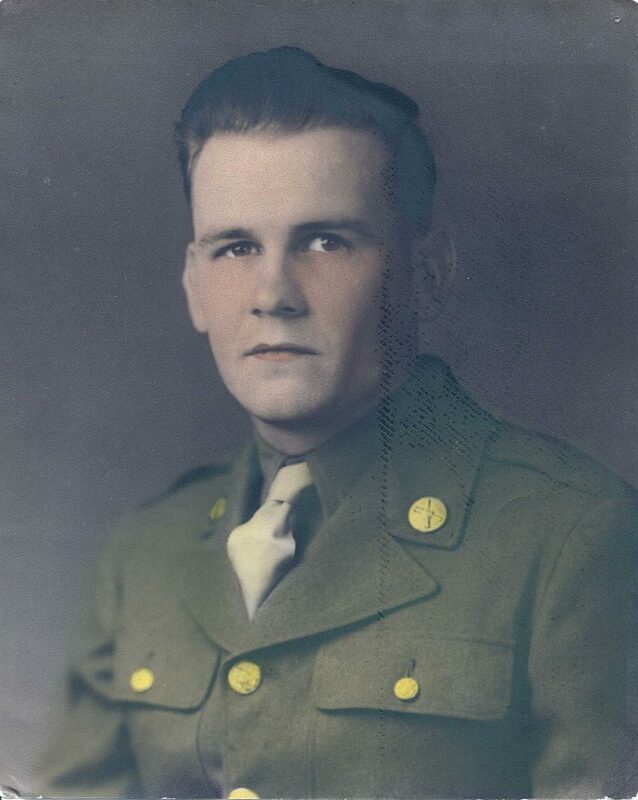 In February of 1944, Sgt John A. McElroy was awarded the Legion of Merit award, and during the ceremony the 901st AAA Battalion participated in a battalion review. This would have been a proud moment for the McCarthy and his battalion, and one of the highlights of their service. In April of 1944, McCarthy hits the peak of his military career, achieves the rank of Sergeant, and is put in charge of supervising a gun crew of 15 men. On May 18th, 1944, McCarthy is transferred from the 901st AAA Battalion to the 902nd AAA Battalion. No reason is given for the transfer, but it was most likely a simple issue of one battalion being short of men and another having a surplus. 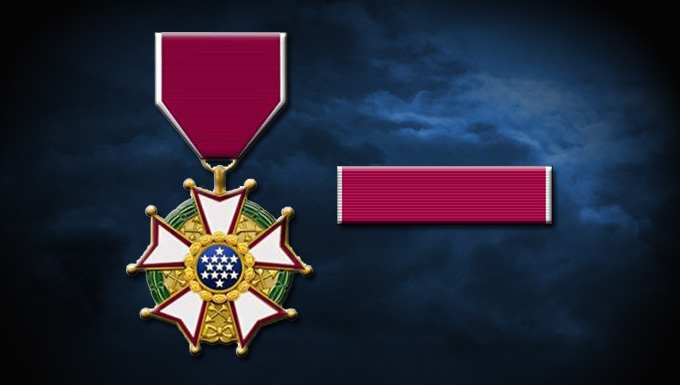 Because of his service during WWII, William would receive both the American Campaign Medal and the Good Conduct Medal.